The current judicial internship process is overwhelming and fragmented. Law students spend hours and hours compiling unique application materials to send out to individual judges. Meanwhile judges either receive no student applications or too many applications to handle. It is an administratively daunting system that needs to be improved. The Fulton & Waite Scholars program was created by former law students as a solution to these problems. We streamline the application process for students and unite the pool of applicants for judges. Fulton & Waite Scholars increases flexibility, saves time, and provides a unique scholars program for qualified law students. Additionally, we take the burden of vetting students off the shoulders of judges and judicial assistants while ensuring each Fulton & Waite Scholar is a willing, engaged, and committed student of the law. 2 Week Externship oriented towards education and career discernment. Immersive introduction to court operations. Meet with courtroom members and judges. Ask, listen, learn. Make connections. Lifetime access to FW Scholars alumni network. Program fee: $0. Accepted 2019 students will be awarded this internship with a full scholarship to cover the $360 program cost. 8 - 10 Week Internship with the purpose of education, career advancement, and hands-on work experience. Experience in legal researching and writing. Program fee: $0. Accepted 2019 students will be awarded this internship with a full scholarship to cover the $1,300 program cost. 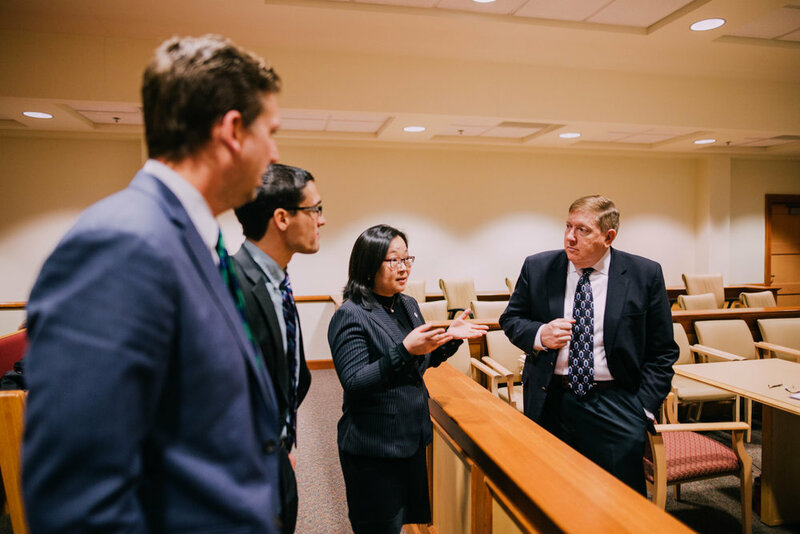 Becoming accustomed to the reality of court operations and gaining practical legal experiences provides law students with a unique advantage at the very onset of their legal career. & witness litigation in action.